repertoire. Our research aims at creating enzymes for reactions that are new-to-nature. For this we take inspiration from natural evolution of enzymes, where so-called ancestral enzymes that exhibit low levels of activity for various different reactions then were specialized during evolution to achieve high activity and selectivity. Here I will show how we design and create such enzymes and I will discuss their subsequent optimization by directed evolution to create highly active and selective enzymes for new-to-nature reactions. 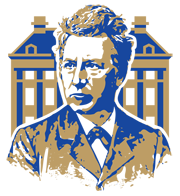 Gerard Roelfes obtained his MSc and PhD (2000) from the University of Groningen, the Netherlands. His PhD research (supervisor Prof. Ben L. Feringa) was on synthetic models for non-heme iron oxygenases, which was a joint project with Unilever Research and the group of Prof. Lawrence Que Jr. (Univ. Minnesota), in whose lab he carried out part of the work. After his PhD he went for a post-doc with Prof. Donald Hilvert at the ETH-Zürich (Switzerland), where he worked on synthetic strategies towards seleno-proteins, using a combination of chemical and biological methods. 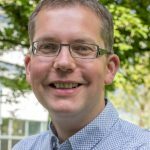 In 2003 he returned to the University of Groningen as a junior research group leader. He became Assistant Professor in 2006, Associate Professor in 2010 and since 2015 is Full Professor of Biomolecular Chemistry &amp; Catalysis. He is recipient of the prestigious Veni, Vidi and Vici grants, as well as an ERC starting grant.